With a decade long experience in digitally transforming SMEs especially, the Trades Services sector, Digital Transformation influencer Logan Nathan has teamed with best of the breed technology enthusiasts and industry pros, to introduce an all-in-one Field Management Tradies software and revolutionise the core premise on which this sector operates. i4Tradies is the ultimate next generation tradies software platform to help small businesses take back control of their day-to-day processes, and build meaningful relationships with their customers, anywhere, anytime. 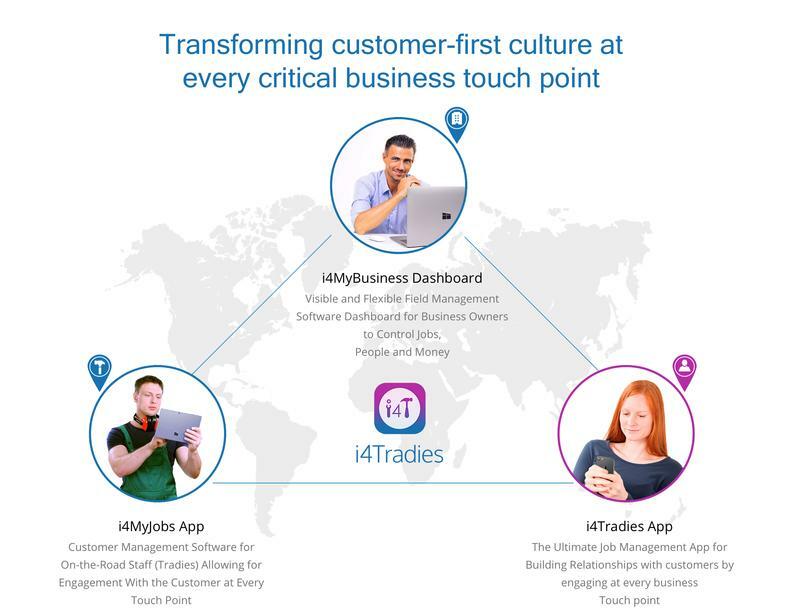 As a cloud based Customer Experience Management Tradies app, i4Tradies is helping Australian Trades services business owners manage on-the-road employees and enhance customer relationships by delivering exceptional service experience at every touch point. From handling service requests and allocating jobs to service delivery, collecting payments and receiving customer feedback, i4Tradies makes it possible for Trades Services business owners, their employees and their customers to stay on top of their job as it progresses from one stage to the next. I4Tradies job management system allows tradie business owners to inject more visibility and flexibility into how they manage people, time and resources, while employees can fast-track job delivery, generate new leads and achieve higher customer satisfaction. On the other hand, it also serves as a tradies customer app letting customers to find and connect with the best tradie in their local area and turn one-time transactions into long-term meaningful relationships with the provider of their choice. To learn more about i4Tradies, click here.